For brands looking to capture the attention of both passing trade and the in-store shopper, printed displays in their multitude of forms can be extremely effective at stimulating product interaction and impulse sales. Printed advertising materials are arguably more relevant in today’s fragmented digital marketing arena than ever. Whether on the printed page, or a shop-front sign, banner, window sticker or simple shelf-wobbler, print is reassuring, tangible, credible and engaging; and remains an excellent way to establish and reinforce your brand. When it comes to helping customers do this at the point of sale, events or exhibitions, and in particular on longer life and outdoor durable materials, Signwaves are masters at the art. For 30 years we have been trusted with delivering high quality printed signs and displays for some of the largest brands and retailers, using a combination of in-house screen, digital and dye-sublimation print output alongside a variety of finishing processes. Printed displays can be large or small, simple or complex, and in a wide variety of materials. A manufacturer must have a thorough understanding of these materials and how to process them so as to satisfy campaign requirements as well as any safety or environmental concerns. For example, an external sign needs to be resistant to wind and weather, and UV resistant in particular. A floor graphic needs to be non-slip and non-trip but at the same time easy to remove, and rigid materials need to stay rigid and not deform due to the heat of the store or from sunshine through a shop window, etc, etc. No matter what the product, Signwaves can guarantee consistent colour reproduction across different medias and outputs – a bold and rare claim within the large format printing industry. Skills and experience are supported by a well established ISO quality system. This includes advanced ColorServer and SmartProfiler colour management which helps ensure production, particularly from different printers and different medias, is identical regardless of which printing process is used. Ceiling suspended Mobiles are a low cost and effective in-store promotional display. 3 or 4 sided they can be used individually or suspended one above the other. The use of multiple units and the random rotation caused by movement of air in the store is a particularly eye-catching combination. Catering and licensed retail suppliers who use point of sale as part of their vendor package may consider branded displays such as Napkin/Beer Mat Holders, or Multi-Cup Displays to communicate different dispense options. 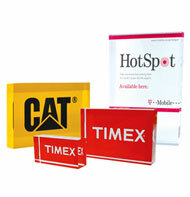 They deliver valuable brand presence combined with great functional purpose. Signwaves Open/Closed Signs are another opportunity to combine functional value for the retailer with prime promotional positioning for the brand. From the simple Flipper, to a Slider, or Premium design with slide-in inserts, open/closed signs command eye-level positioning at the store entrance that are difficult to be missed. Another prime position for brand recognition and endorsement is at the service counter or till. 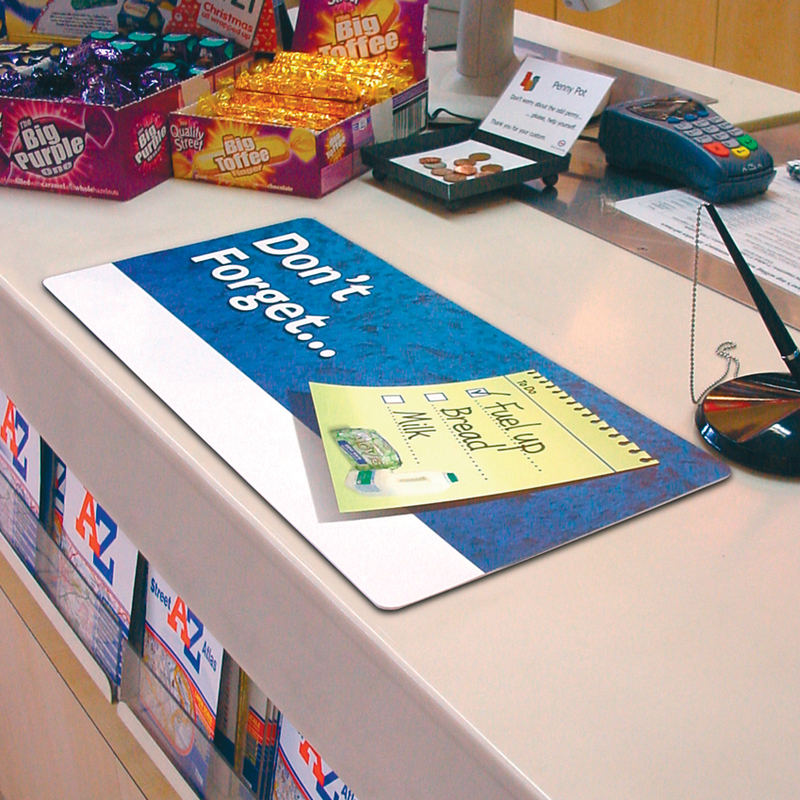 Signwaves Cheque Mat, or Counter Mat as it is more appropriately called today, again offers the likes of convenience retailers with a practical item combined with an effective impulse sales driver. The likes of Counter Mats, Open/Closed Signs, table top Tent Cards and internal promotional signage are not restricted to 2 dimensional printing techniques. 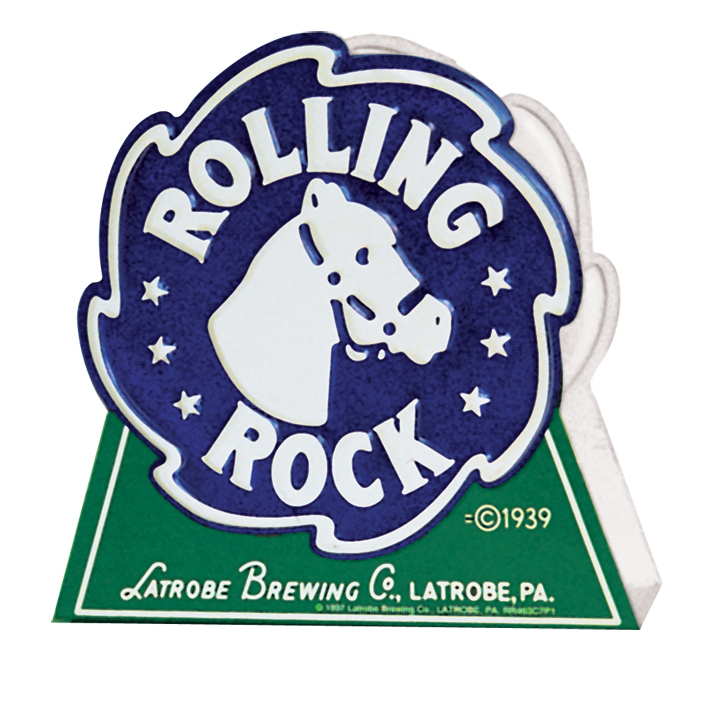 Signwaves attention grabbing Lenticular Print creates 3-dimensional images that demand a closer look. Printed at 100 lines per inch on 0.6mm PET it is a surprisingly low cost way to create a high quality promotion that will stand out from the crowd.